Absolutely a favourite and taken by my perceptive friend Brian: he has always had an eye for the iconic. 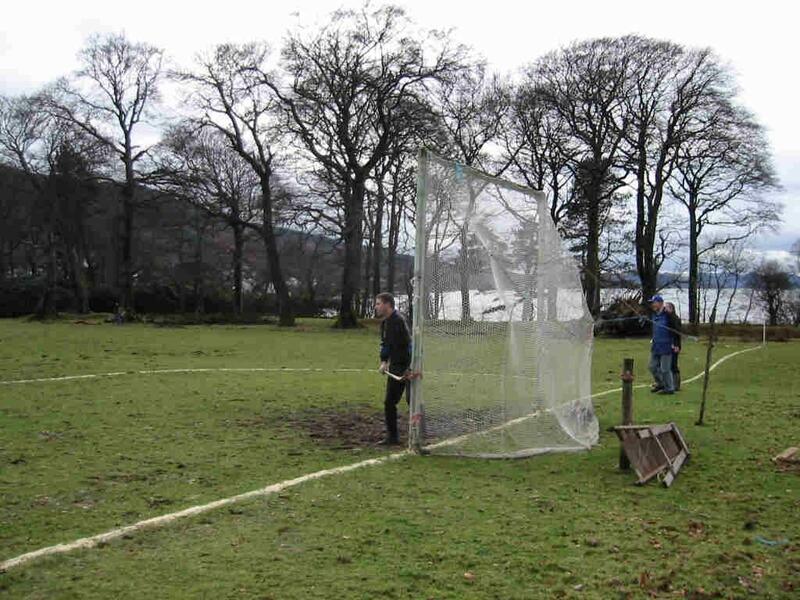 Here we see Scottie MacNeill playing on his own at Strachur in the next to last season of old fashioned winter shinty. Two spectators, some trees ,a step ladder to take the nets down and some gutters. Where are the rest of the guys? Who can say? Scotty was Oban Camanachd goalie at the time and perhaps his team-mates were so good they were up the other end all the game. I don’t know but the picture says a lot to me : the winter scene in which I am glad we no longer play; the loneliness of the goalie; the goal judge and the single spectator; the dullness of the light on a winter afternoon-the Celts at play. Something tells me Camanachd would have won.